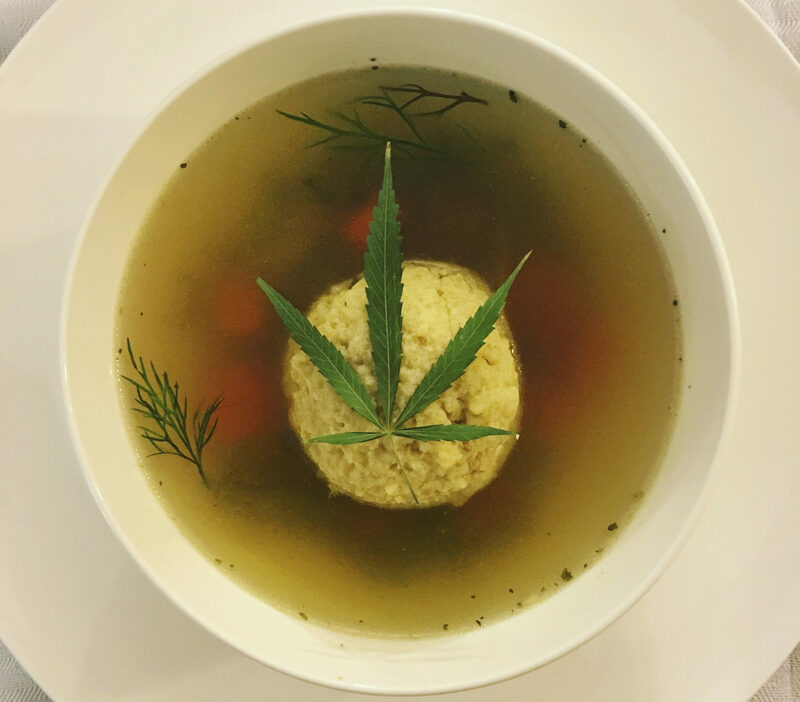 As of January, sale and purchase of recreational marijuana will be legal in the state of California — including Jeff the 420 Chef's signature kosher "Potzo-Ball Soup." 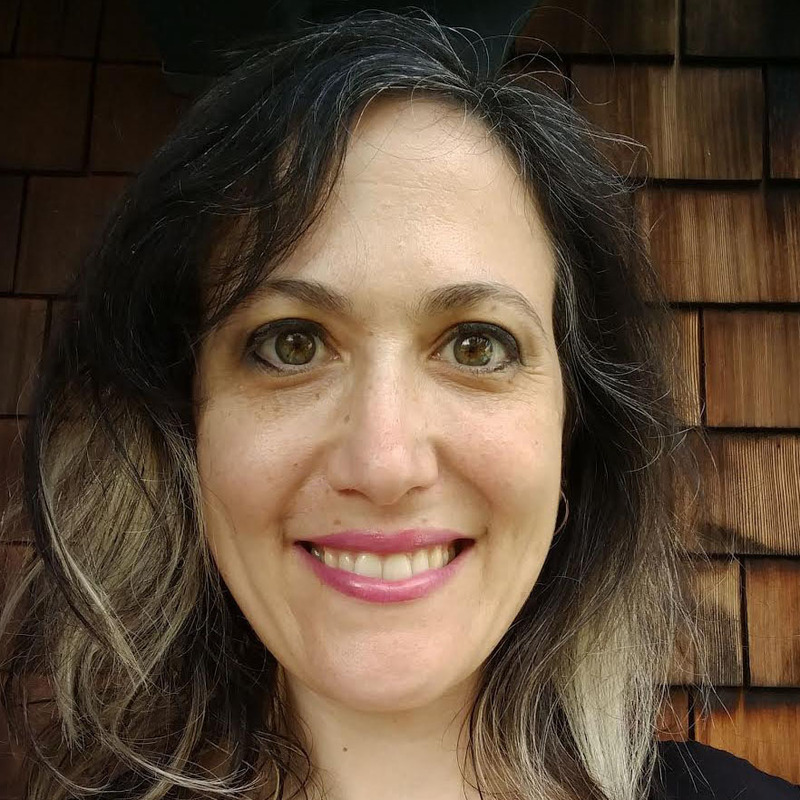 As the executive director of East Bay Canna, she knows a lot of people in the cannabis community — and that means she knows a lot of Jews. “We’re everywhere,” Arenstein said with a laugh. Pushing regulatory policy, looking at the thorny legal issues of cannabis law, participating in the industry through business or education, exploring the uses of medical marijuana, or incorporating pot into religious practices and spiritual ceremonies — in many ways Jews have long been at the forefront of efforts to bring cannabis into the American mainstream, legalizing and normalizing its use. “Oh, yes, it’s definitely true,” said Peter Rosenberg, a partner at Merida Capital Partners, an equity fund that invests in companies that serve the cannabis industry. And why? Maybe it’s because Israel has been a leader in medical marijuana research. Or maybe it’s the way states’ legalization of marijuana, medical or recreational, has created a space for new and inventive entrepreneurs. Or maybe it’s the social justice aspect of the legalization movement that appeals. Ed Rosenthal of Piedmont is known nationally as a passionate marijuana advocate. Or maybe, as East Bay resident and legalize-it pioneer Ed Rosenthal puts it, it’s because marijuana is an “intellectual” drug compared to alcohol. Whatever the reason, come Jan. 1, Jews in the Bay Area will join the rest of California in waking up to a new reality. On that day it becomes legal for permitted stores in the state to sell marijuana for recreational use. Medical marijuana has been legal in California for two decades. And since Prop. 64 passed in November 2016, it’s been legal to grow a few plants or possess small amounts of marijuana for recreational use. This January, the rest of the measure goes into effect. Not that there will be a weed shop on every corner. Very few corners, as a matter of fact. In California, prospective retailers won’t just be able to start selling products like cannabis-infused strawberries encased in organic chocolate. They’ll need a state license, and to apply for one, they’ll need a city license. Not many of those have been issued — somewhere around two dozen as of last week, although finding an exact number is difficult. Local cities on board with recreational marijuana include Oakland and Santa Cruz, one of the state’s “cannabis capitals,” according to the hometown Sentinel newspaper, as well as San Jose, which 3½ years ago had some 90 medical marijuana dispensaries, according to the San Jose Mercury News, before the city enacted a stringent permit law. It’s important to understand the history of marijuana law as the history of overt prejudice. In ready-to-go Oakland, city council member Rebecca Kaplan has been pushing hard to make sure everything is rolling along smoothly. “It’s important to understand the history of marijuana law as the history of overt prejudice,” she said. Kaplan is looking to rectify that. The former Orthodox day school student says her position is in line with Jewish teachings. She cites the Maimonides directive that says the most important mitzvah is getting prisoners out of jail, or redeeming captives: pidyon shvuyim. Under rules passed by the Oakland City Council on Nov. 28, with amendments authored by Kaplan, not only will Oakland be ready to start issuing city licenses next month, but 50 percent of them will be reserved for groups understood to have been unfairly burdened by past drug laws pertaining to marijuana — meaning primarily low income and African American residents. People approved for these permits also will get low-interest loans, business assistance and fee waivers. “Can Oakland Help Solve the Weed Industry’s Diversity Problem?” was how a July headline in Rolling Stone put it. “That is also why it’s so important for Jews and all people of conscience to work to end marijuana prohibition,” Kaplan said. Longtime Bay Area drug reform activist Mikki Norris agrees. In an opinion piece in J. supporting last year’s vote on the Adult Use of Marijuana Act (Prop. 64), Norris wrote of the Jewish people, “Our religious tenets, culture and shared history give us a special sensitivity and an understanding that working against social injustice and for human and civil rights is the right thing to do. At the forefront of the legalization movement for years and years, both locally and beyond, has been Rosenthal, 72, a resident of Piedmont and the author-editor of more than a dozen books, including “The Marijuana Grower’s Handbook” (foreword by stoner comedian Tommy Chong) and “Why Marijuana Should be Legal.” He is well known nationally as a cannabis-growing consultant and passionate marijuana advocate who has been using the plant since 1965. People still associate it with being a lazy stoner, sitting on the couch. For him, however, Prop. 64 doesn’t go far enough — there are just too many restrictions. “It doesn’t legalize it to the extent that it should,” he said. Rosenthal wrote the introduction to “New Rules: California’s Marijuana Rules Explained,” a book published by his company last month that attempts to explain what is legal, how medical marijuana laws are changing, and what “adult use” marijuana sales will mean. “I think people should know what they’re up against,” Rosenthal told J., alluding to a patchwork of city and state (and, of course, federal) laws. Like Rosenthal, Arenstein, the executive director of East Bay Canna, is all for full legalization. The 3-year-old organization hosts monthly networking events (similar to happy hours) that organizers say draw up to 300 people to Oakland’s Lake Merritt. East Bay Cannabis Community, its formal name, also runs a senior get-together and a donation program for low-income medical marijuana users. Arenstein sees that last element as inherently Jewish, through its emphasis on compassion. She also sees Jewish values at work in the way cannabis activists and those involved in the industry have been willing to take legal risks and look past social stigmas in finding ways to help others. “We’re taught to question. We’re taught to grapple,” Arenstein said. Ending the stigma as full legalization approaches is something Catherine Goldberg is also looking forward to. “People still associate it with being a lazy stoner, sitting on the couch,” she said. “Hashem made this plant,” she said, using a Hebrew term that refers to God. Goldberg said Chai Havdalah and similar events are a way to bring cannabis use from the private realm into the public in an environment that she finds comfortable: lively and full of music, talk and food. Goldberg also wants to ensure her Orthodox friends feel welcome. That includes Sender and Shifra Klein, founders of Los Angeles-based Mitzva Herbal Co., a company that, according to the Forward, has been certified by the Orthodox Union in its production of kosher, marijuana-infused edibles. “I would like these parties to exist in every city where there are Jews and weed,” Goldberg said. She’s not the only one bringing pot to Shabbat. Jeff Danzer of Los Angeles, known professionally as Jeff the 420 Chef, has a long history with marijuana. “I remember when I was back in yeshiva we used to smoke weed all the time,” said Danzer, the founder of several cannabis ventures and known for a laboriously made cannabis “butter” that doesn’t make food taste like weed. Formerly Orthodox himself, he can, and does, cook a completely kosher meal infused with cannabis that allows Orthodox Jews — or anyone else — to enjoy the effects of weed on Shabbat without smoking, which would be forbidden. He also does pot Passover seders, featuring his trademark “potzo-ball soup” — and yes, he has two sets of dishes. “I don’t know any other cannabis chef out there who knows how to cook kosher, real kosher, food,” he said. Danzer regularly works in Northern California, like at the NorCal CannaCuisine Gala banquet in July. To hear him describe the Cornish hen, quail eggs and green papaya dishes on that menu is to realize that pot edibles have come a long way from brownies. I remember when I was back in yeshiva we used to smoke weed all the time. But for his Orthodox clients, he insists, it’s really about the way cannabis can enhance the spirituality, joy and passion of Shabbat. “They go deep, deep, deep into learning,” he said. Others are bringing cannabis into Jewish spaces in different ways. For example, on Jan. 7, Under One Tent, a book and arts festival under the auspices of the Contra Costa JCC, is hosting a panel called “Eyes on Health: Marijuana as Medicine” at Congregation B’nai Shalom in Walnut Creek. Also sponsored by Diablo Valley Hadassah, the 2½-hour event is scheduled to include Eloise Theisen, a former board director of the American Cannabis Nurses Association, and David Downs, the cannabis editor at the San Francisco Chronicle. And Sally Berk, a Jewish member of East Bay Canna and its director of outreach and public relations, is helping set up a similar, albeit private, event for the women’s group at Temple Beth Abraham in Oakland. Berk said it’s important for people to get clear information about cannabis legalization that’s not tainted with stigma. “There’s been so much wrong information put out to the public about it,” she said, alluding to long-held views that marijuana is dangerous, addictive and even a scourge upon society. The person scheduled to lead that talk is Pittsburg resident Barbara Blaser. The 72-year-old registered nurse might seem like an unlikely advocate for cannabis, but in recent years Blaser has found a new role for herself as a volunteer “explainer” for medical marijuana patients. In that capacity, and as an RN who spent her career working in leadership positions in the mental illness and substance-abuse fields in Illinois, she has been working with Oakland’s Magnolia Dispensary, where her daughter, Debby Goldsberry, is executive director. “I tell people this is really a mitzvah as far as I’m concerned,” Blaser said. Blaser grew up in Kentucky, where her mother, originally from Piedmont, told her that being Jewish meant knowing other Jews would help you. At Magnolia, Blaser is the one helping others. She teaches a senior wellness class, as well as classes on pain management and medication management. That might mean helping patients figure out what medications conflict with cannabis, or how to regulate dosage to increase the amount of time they are pain-free. All this from someone who didn’t even try pot until she was in her 70s. For Blaser, who moved to California to be closer to her children, this work has become a mission. With teaching, counseling patients, following up on the phone or giving talks, she estimates she spends 60 to 70 hours a week on it. Blaser never paid much attention to marijuana, medical or otherwise, until 2014, when she spent six months recovering from a surgical error that left her in a coma. After that, she began reading up on her daughter’s field. Suffering from chronic pain, anxiety and insomnia, she first tried cannabis in 2016. “Eventually it became my issue,” she said. In the past 18 months, besides being a familiar and comforting face at Magnolia, she’s also becoming a sought-after resource, talking to senior groups around the Bay Area. One thing she has observed is that Jews she talks to have more progressive attitudes toward marijuana use. “It seems that Jewish seniors tend to be more forward-looking,” she said. It seems that Jewish seniors tend to be more forward-looking. Goldsberry, who was raised without religion, said a recent interest in Judaism drew her to study with Chabad. But she worried over what they might think of her marijuana career. According to many rabbis, as long as it’s for medical use, cannabis is in fact kosher. 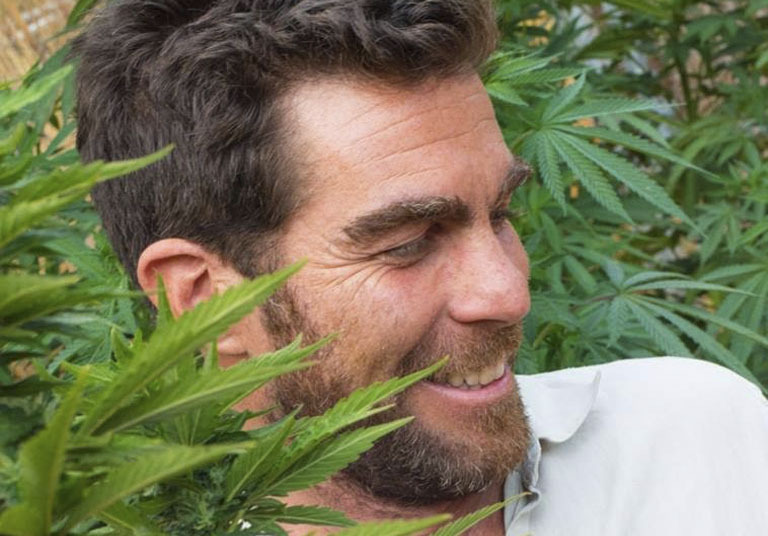 The kosher market is growing, as evidenced by edible companies such as Mitzva Herbal and long-established Doc Green’s (topical cannabis pain relief creams), based in Berkeley. Labkowski said he got a call a year ago from one such company asking for kosher supervision. He declined, but tells J. that cannabis, as a natural plant, is undoubtedly kosher and that if it’s the right medicine for someone, it may be used. When it comes to recreational use, however, he said the question is not that simple. “Is it like a glass of wine or is it not like a glass of wine?” he said. Labkowski said more research is needed, but meanwhile, advises that people consider carefully whether any substance that puts them “under the influence” is really the right way to serve God. “A person is supposed to work on themselves from the inside,” he said. Seven other states (and Washington, D.C.) have legalized recreational marijuana, while 29 states are on board with medical marijuana. In other countries, there seems to be a larger consensus on marijuana’s medical value; Israel, in particular, is known to be at the forefront of medical marijuana research. In the 1960s, professor Raphael Mechoulam of Hebrew University in Jerusalem was the first to isolate CBD and THC, the psychoactive element of cannabis. “Frankly, I think there will be a day you’ll see Mechoulam up there for the [Nobel] Peace Prize,” said Stephen Gardner, the chief marketing officer of Tikun Olam USA, a medical marijuana company with Israeli and American Jewish investors that plans to expand into California in 2018. The passage of Prop. 64 will, according to industry insiders, take a huge market in California and make it even bigger. Cannabis research firm ArcView says the legal market in North America was $6.7 billion last year; California accounted for 27 percent of that. “Jews realize that cannabis is going to be the next internet,” said Goldberg, the “Cannabis Concierge,” proffering one theory on why so many Jews are involved in the industry. Another theory, suggested by Berk, is that Jewish people tend to be progressive and open to new ideas in society. “We’re always learning and we’re always doing,” she said. Arenstein of East Bay Canna, meanwhile, pointed to the close relationship of Judaism to the Earth and harvest-based rituals — a theory Rosenthal has heard before, as well. Jews realize that cannabis is going to be the next internet. He also thinks the connection could have something to do with marijuana’s tendency to spark in-depth thought, conversation and the creation of art. “I think that Jews tend to be intellectuals, and respect intellectualism, so that becomes a favored drug for them, as compared to alcohol,” Rosenthal said. “I’m positive that cannabis can repair the world,” summed up Goldberg. Whatever the reason, it remains true, at least at the anecdotal level, that Jews in the Bay Area seem disproportionately involved with marijuana. “I’d say there’s a higher percentage of Jewish people than the percentage of the general population,” said Mary Shapiro, an S.F.-based intellectual property lawyer and a founding board member of the National Cannabis Bar Association (launched in 2015 by Bay Area lawyers as the nation’s first professional group specializing in helping businesses navigate complex marijuana regulations). And Kaplan observed that “this is not a newly noticed phenomenon.” The Oakland council member was referring to a famous quote by Nixon, who in a 1971 White House tape was heard clearly grappling over Jews and marijuana.